Please note the Final Ballot of nominees for the 2018 Bram Stoker Awards® will be announced on February 23. February 23: Announcement of Stoker Nominees – the Final Ballot – on the HWA website, via Special IM, on the HWA Facebook page, and by Press Release. Works appearing on this Ballot are Bram Stoker Award® Nominees for Superior Achievement in their Category, e.g., Novel, and everyone may refer to them as such immediately after the announcement. 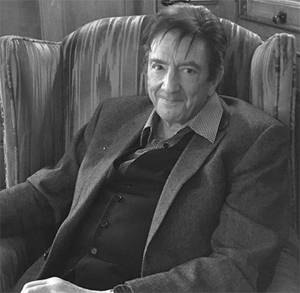 This year the Horror Writers Association announces Graham Masterton as Lifetime Achievement Award winner. He will receive the award at StokerCon™ 2019, held at the Amway Grand Plaza Hotel in Grand Rapids, Michigan. Masterton has provided many years of dedicated commitment to the horror community and the writing and publishing industry. The Horror Writers Association (HWA) is pleased to announce the Preliminary Ballots for the 2017 Bram Stoker Awards®. 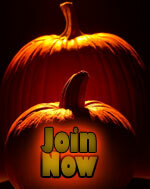 The HWA (see www.horror.org ) is the premier writers organization in the horror and dark fiction genre, with over 1,300 members. We have presented the Bram Stoker Awards in various categories since 1987. The Horror Writers Association is pleased to announce that the winner of its Lifetime Achievement Award for 2017 is Linda Addison. This award, which is considered to be the highest honor awarded within the horror genre, is decided by a specially-appointed committee. This year’s Lifetime Achievement Award Committee, chaired by John R. Little and including Grady Hendrix, Erinn Kemper, Brian Matthews, and Becky Spratford, considered over 60 candidates but was unanimous in selecting Linda Addison. THE LIFETIME ACHIEVEMENT AWARD is presented periodically to an individual whose work has substantially influenced the horror genre. While this award is often presented to a writer, it may also be given for influential accomplishments in other creative fields. 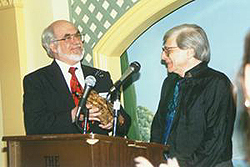 The award is presented each year during HWA’s gala presentation of the Bram Stoker Awards. We proudly provide the list of talented winners along with the finalist nominees. The Horror Writers Association announces two Lifetime Achievement Award winners for 2016. 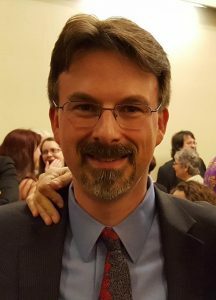 Dennis Etchison and Thomas F. Monteleone will both be on hand to accept their awards at StokerCon 2017 held April 27th-30th on the Queen Mary in Long Beach, CA. Both recipients have provided many years of dedicated commitment to HWA and the writing and publishing industry. 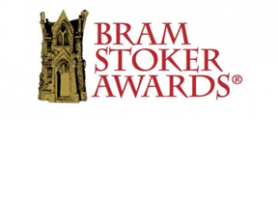 Archive by category "Bram Stoker Award® Updates"